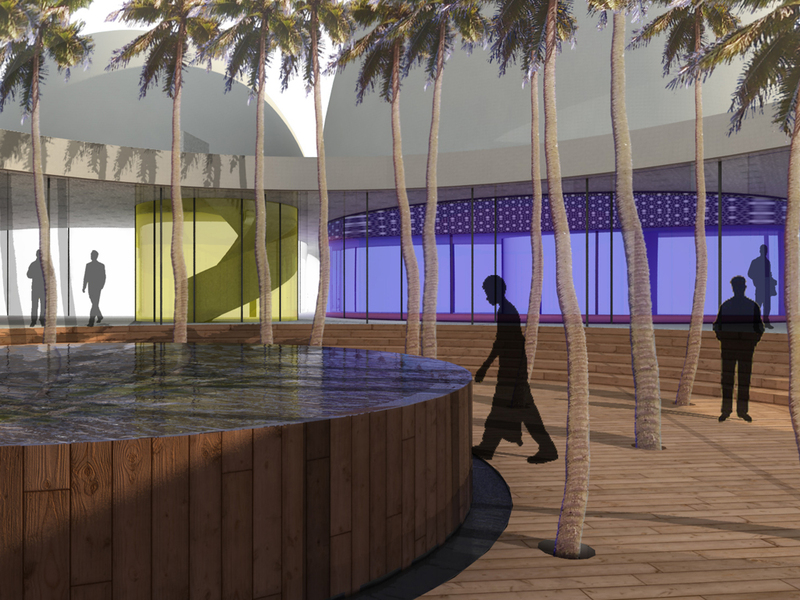 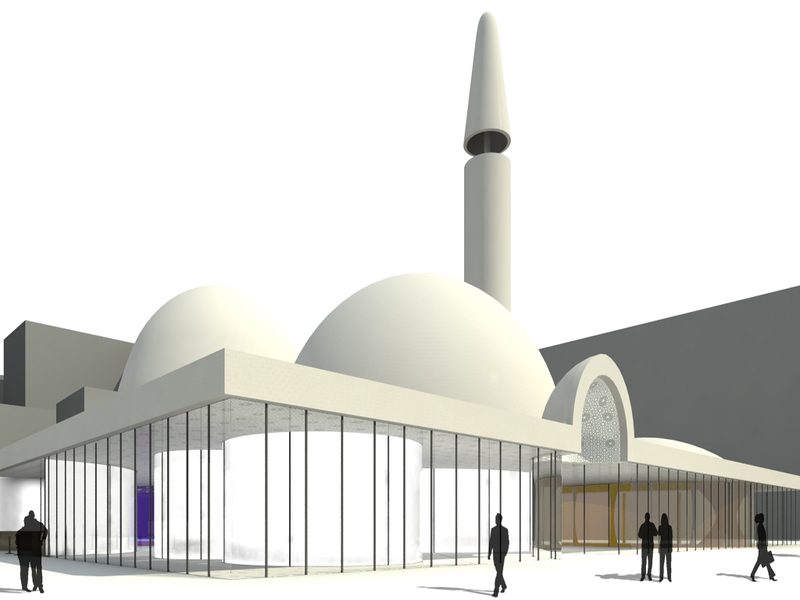 This project is for a congregation mosque, or Ulu Cami in Turkish, which is not only a place of worship but also a communal place for education in religious studies. 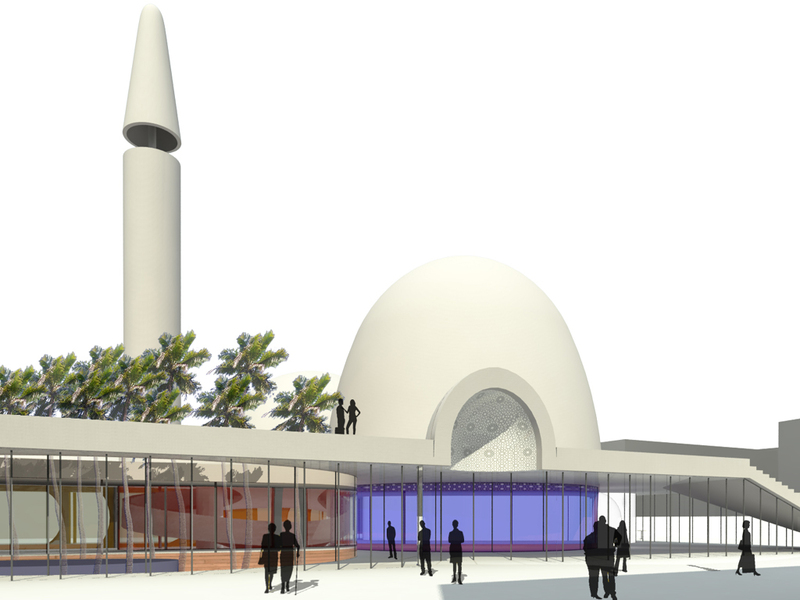 The mosque is located in Kadiköy along the Bahariye Caddesi, a busy shopping district, on the Asian side of Istanbul. 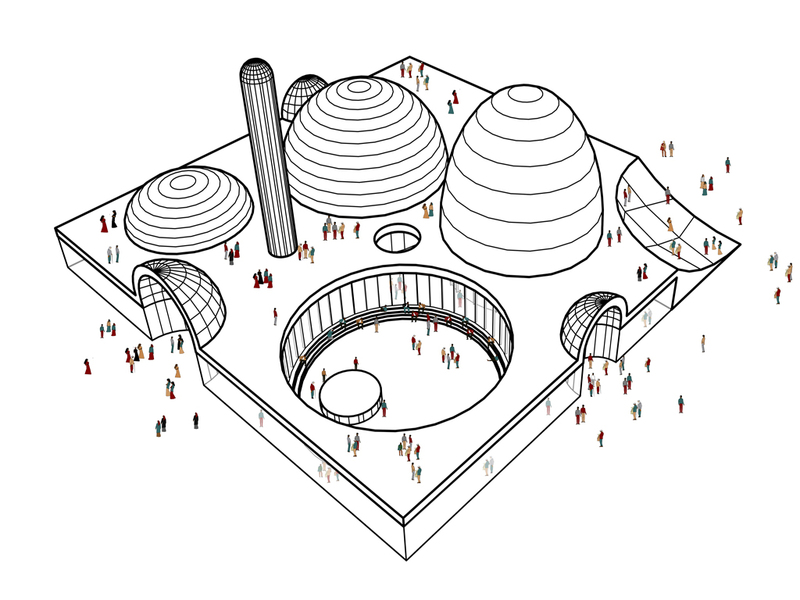 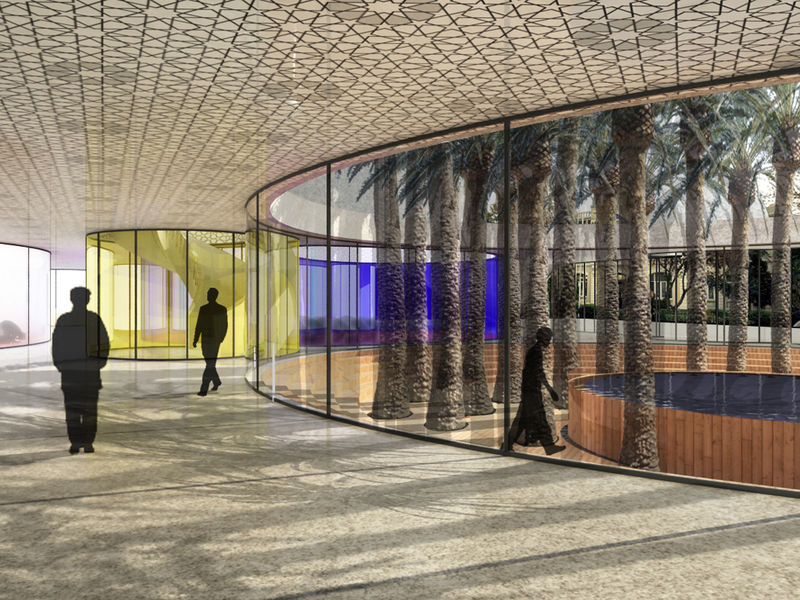 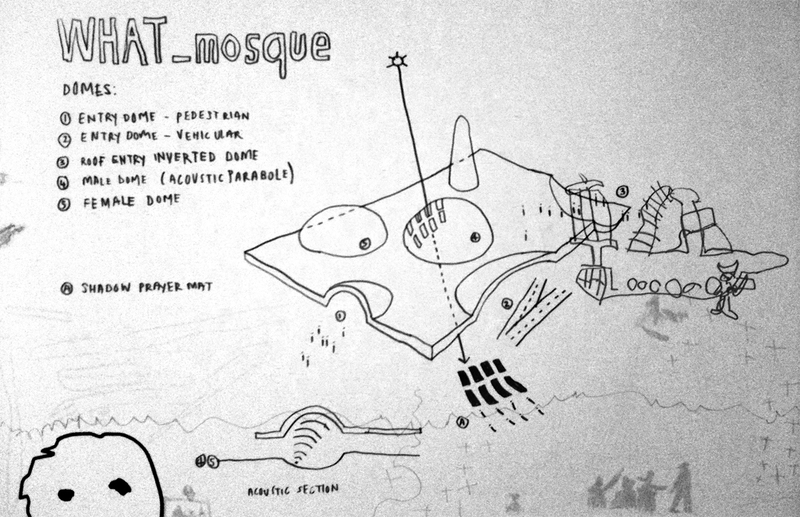 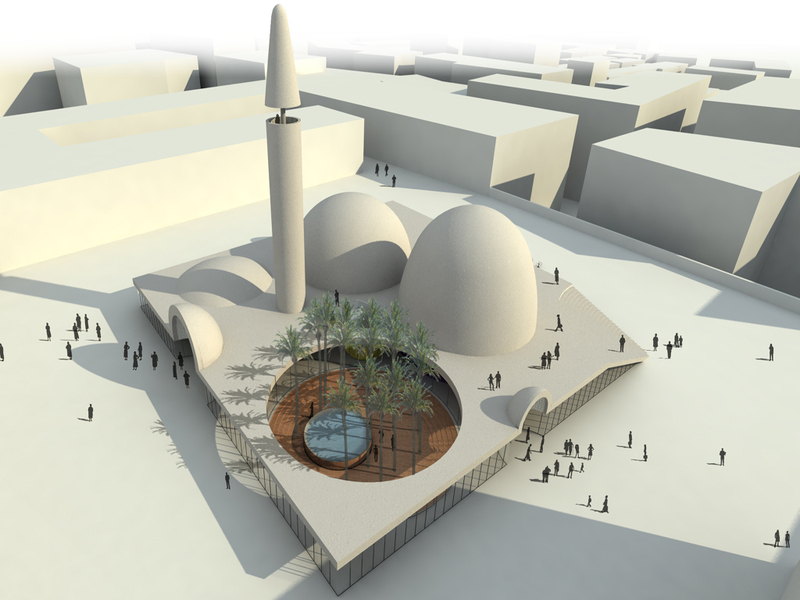 the design concept proposes a new organisational strategies for religious gathering by embracing traditional mosque morphologies within a collective structure. 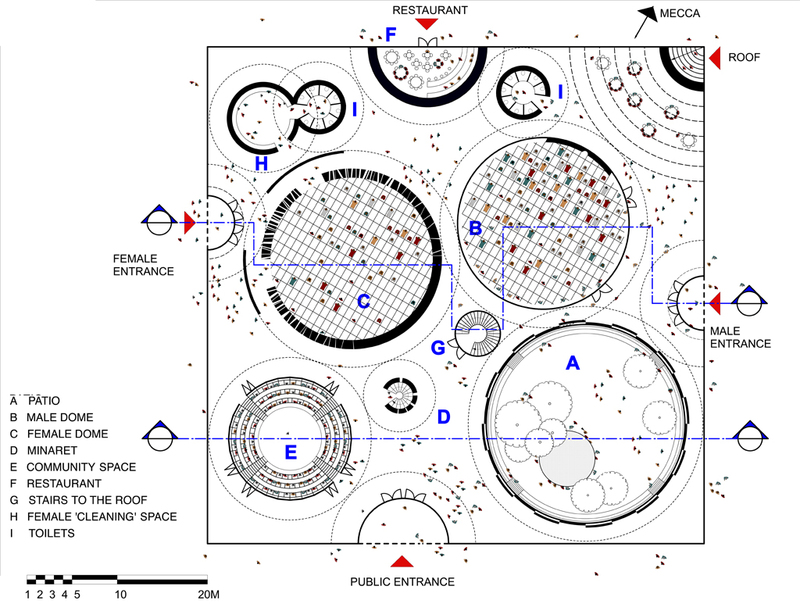 this necessitated the formalisation of strict circulation routes and five separate entries to the building which consists of; twin dome configuration for segregated male and female worshipping; a sunken public auditorium for lectures; an open garden for male purification, enclosed female washing facilities; an outdoor buffet and a public realm rooftop.